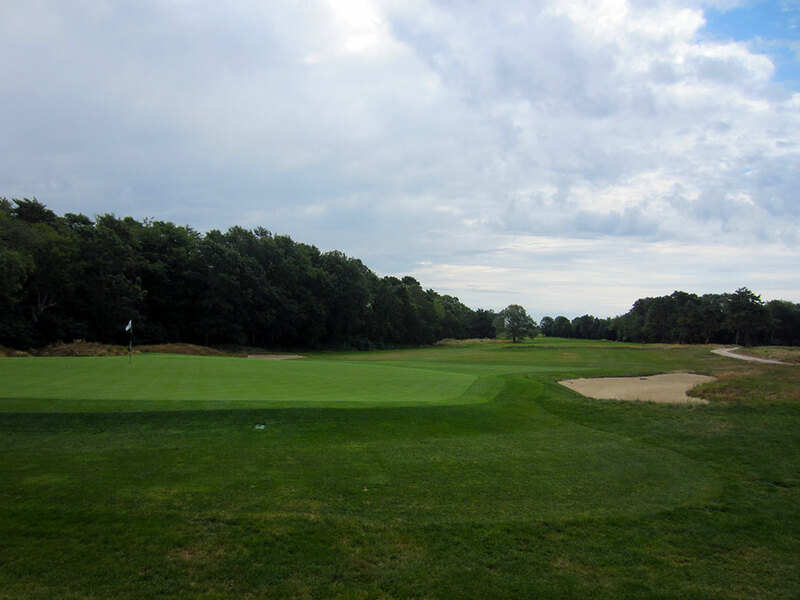 Course Website: Official Website - Visit The Kittansett Club's official website by clicking on the link provided. 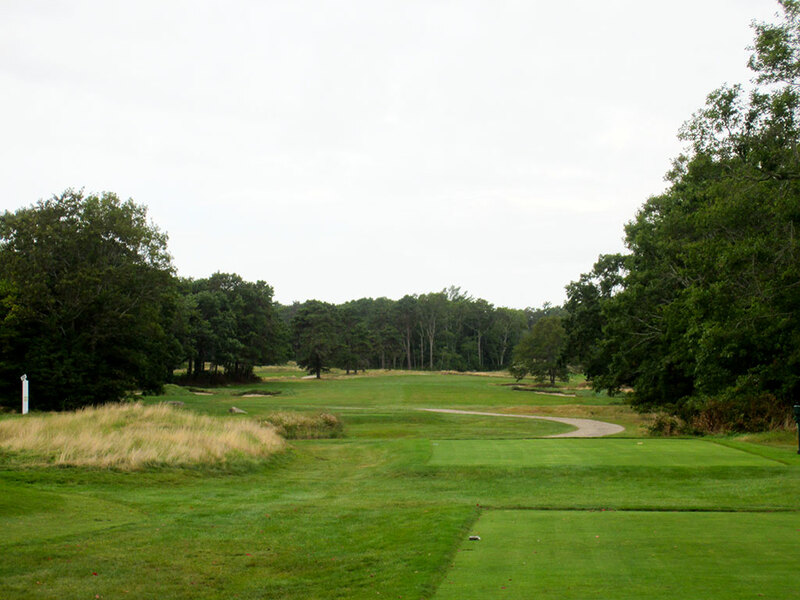 Accolades: Ranked 4th in Massachusetts on Golf Course Gurus' Best in State list. What to Expect: Located on a point jetting out into Buzzards Bay opposite of Cape Cod, Kittansett enjoys one of the most charming locations on the eastern seaboard. 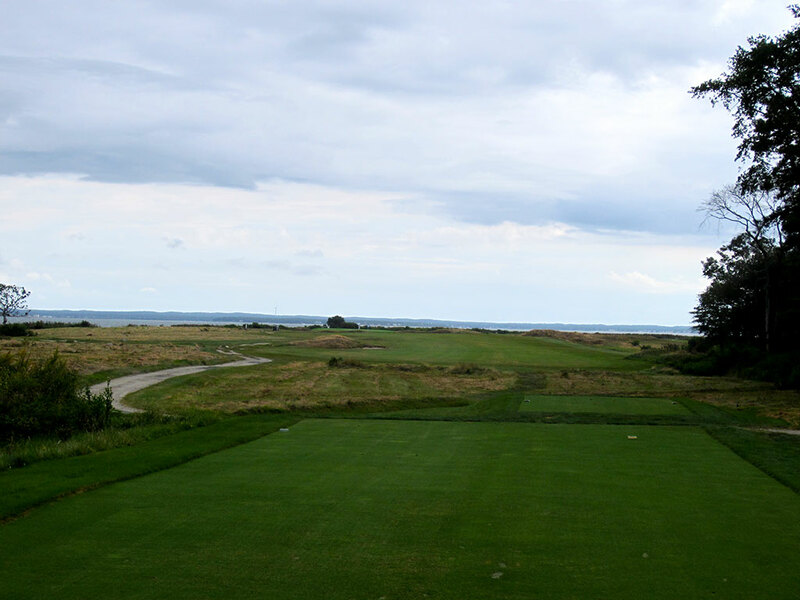 The William Flynn design had hundreds of trees eliminated in the 90s under the direction of Gil Hanse who was hired to bring the course back to its roots; a coastal links experience. 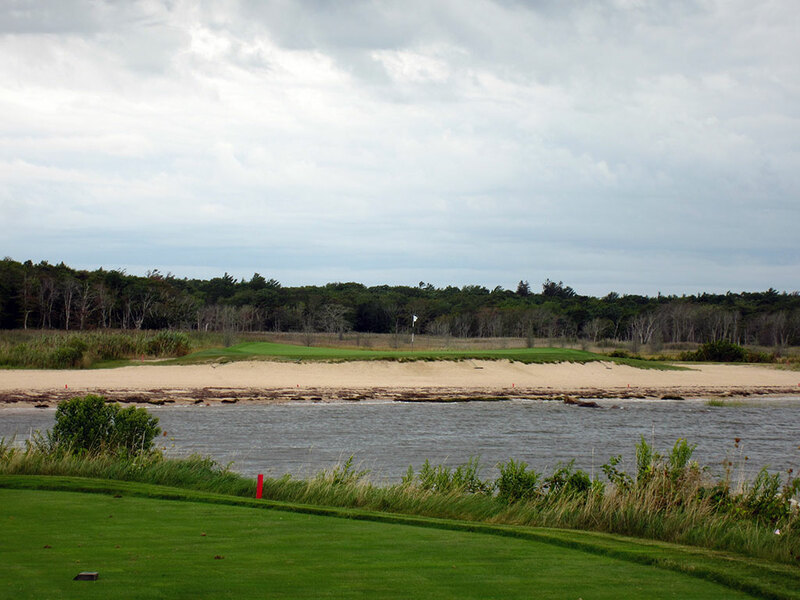 The length at Kittansett isn’t intimidating, but the wind can be; especially at the signature 3rd hole that plays over the water and is completely exposed to the elements. 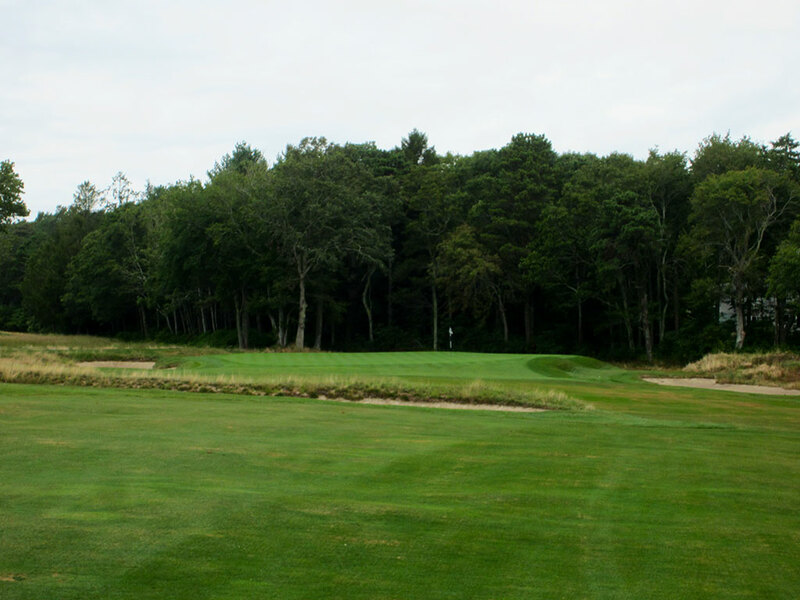 Factor in relatively tight fairways and smallish greens, and Kittansett is able to challenge every player that tees it up. The course features rugged edged bunkers and with the routing offering a combination of coastal links holes and inland tree lined holes. The terrain is relatively flat and is an easy walk, especially with the assistance of a caddie. The inward nine is a more impressive loop than the outward nine with the par four 16th boasting the most impressive views on the property. The conditioning of the turf is impressive with the firm greens being a pure delight to putt on. The course reminded me quite a bit of Garden City Golf Club in New York due to the similar terrain, interior aesthetics, bunkering, conditioning, and old school feel. In conclusion, Kittansett has long been considered one of the finest tracks on the east coast which should be no surprise to anyone given the opportunity to step onto the property. 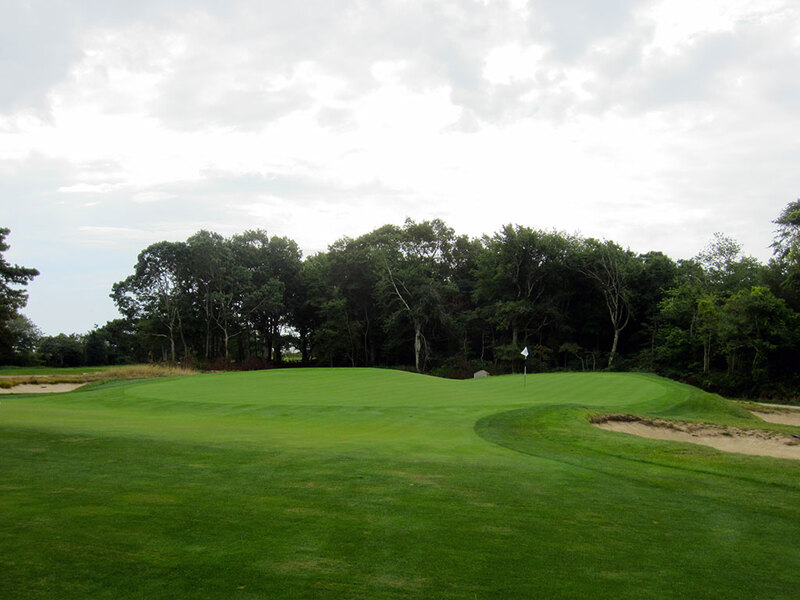 Signature Hole: 3rd Hole – 167 Yard Par 3 – Some may argue that not only is the 3rd hole at Kittansett the signature hole on the course, but possibly the signature hole of Massachusetts. This live or die hole plays over Buzzard Bay to a peninsula green that is completely encircled in sand. While playing to island greens on par threes has become much more common today, it was a special experience back when Kittansett opened and doesn't disappoint today. 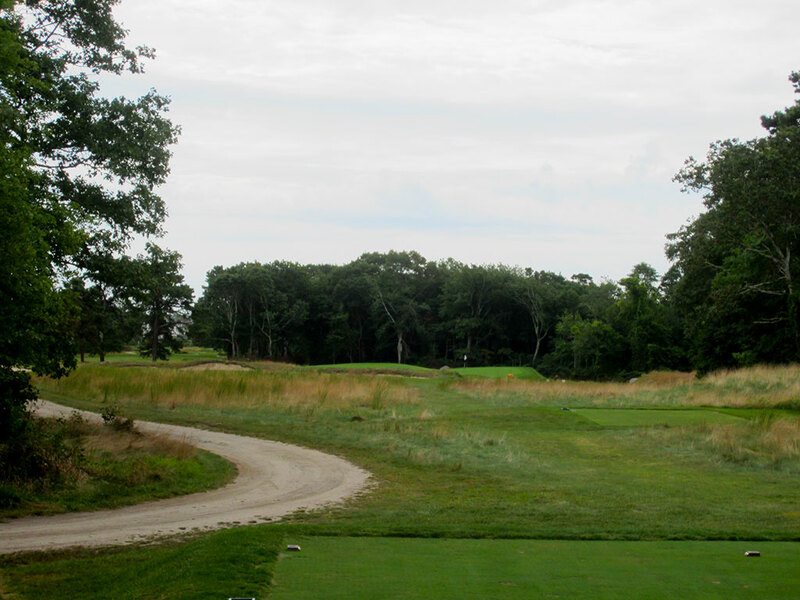 Best Par 3: 3rd Hole – 167 Yards – Already featured as the signature hole, the first par three at Kittansett is the hole everyone will remember after playing there. With a gorgeous setting along the beach and over the water, players must contend with various wind conditions as they hit a high lofted club through the elements in hopes that it finds the putting surface. 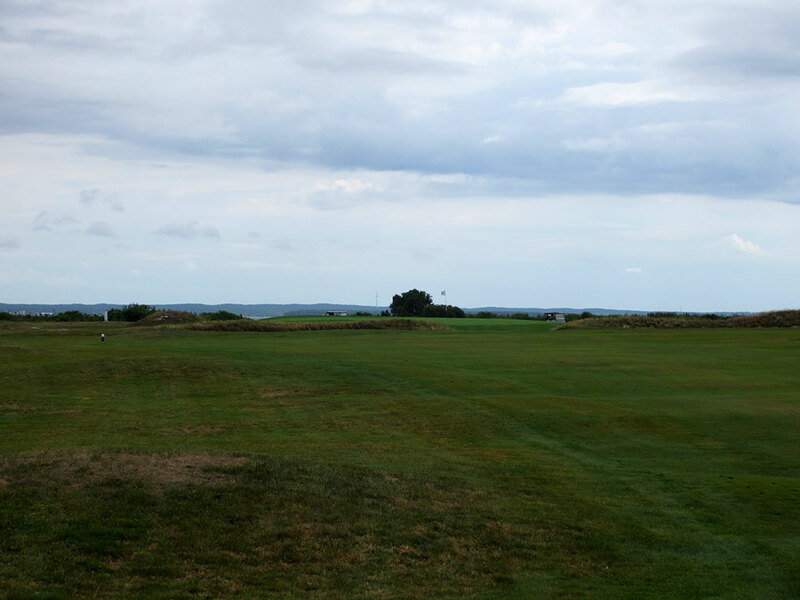 Whether you play well or not at Kittansett, a heroic shot near the flag here will have you walking on cloud nine the rest of the day. 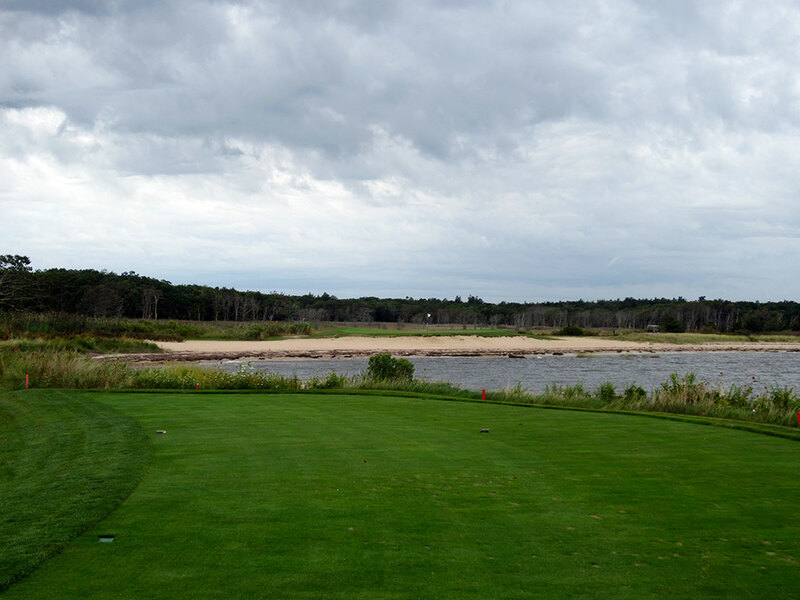 Best Par 4: 16th Hole – 403 Yards – Kittansett's most scenic hole on the back nine is this par four that plays back towards Buzzard Bay. The fairway is more generous than many of the holes on the property but the wind coming off the bay can effectively make the hole much longer and more challenging than the scorecard indicates. 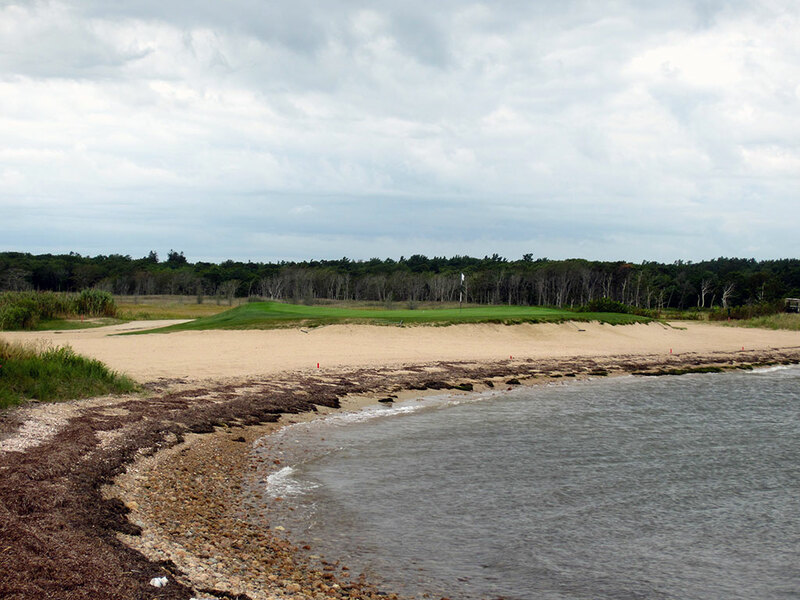 From a view and beauty perspective, the 16th and 3rd holes have no rivals at Kittansett. Best Par 5: 7th Hole – 534 Yards – The tree lined 7th hole gives players an opportunity to get home in two if they challenge the hole properly. A tee shot up the right side will cut the dogleg and shorten the hole, but staying too close to the right or not hitting it far enough will bring a tree into play which could block your route to the green. A fescue strip cuts in front of the green as one last obstacle defending the only par five on the front. 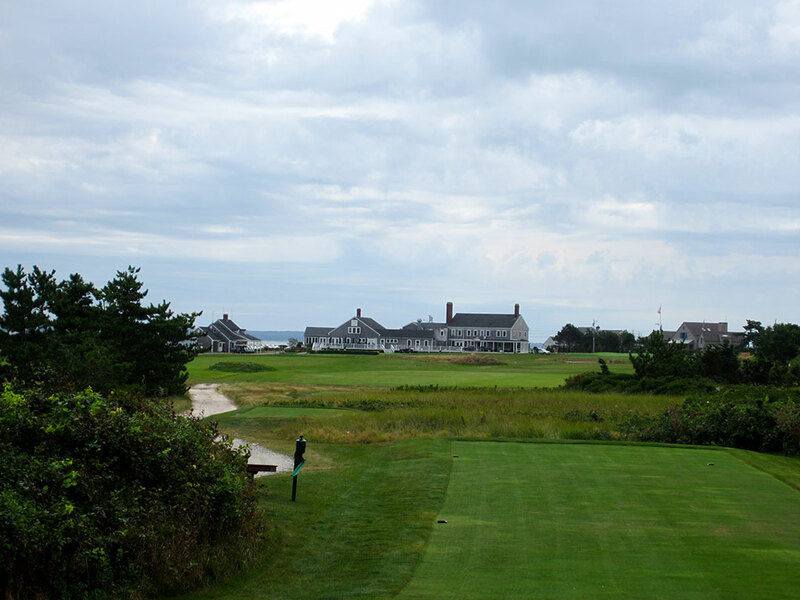 Birdie Time: 18th Hole – 491 Yard Par 5 – A sub-500 yard par five that often plays downwind ought to have every player that visits Kittansett licking their chops. The fairway is as generous as anything you are going to find at the course thus letting you grip it and rip it with little fear of the repercussions. Playing back towards the clubhouse and water is an inspiring view and finishing with a birdie is a satisfying finish. Bogey Beware: 11th Hole – 241 Yard Par 3 – The longest approach shot of the day is this stout par three that also features the most penal green on the course. The tee shot plays over fescue grass to a green that is protected by a pair of bunkers. The left side of the green is a full three feet higher than the right side and creates some challenging, if not entertaining, shots when trying to maneuver the golf ball close to the hole. 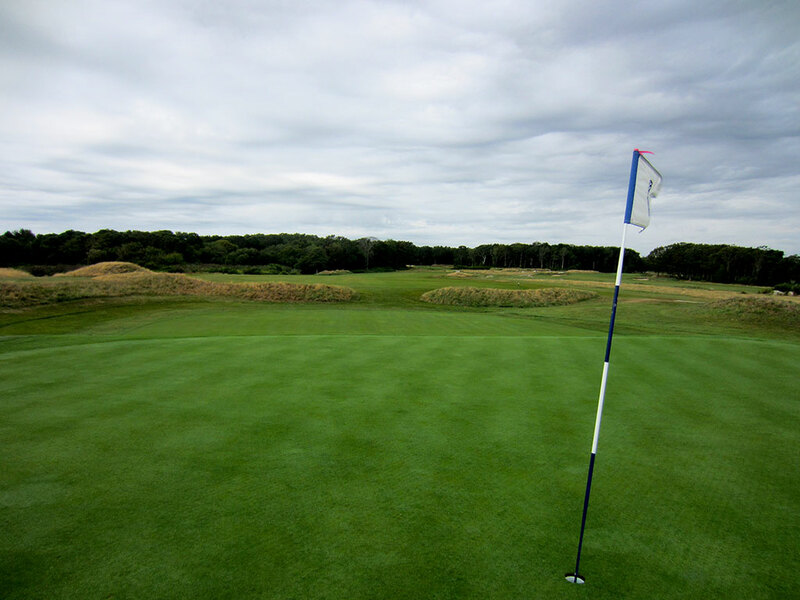 It is an extremely demanding hole that will win most battles with golfers that challenge it.